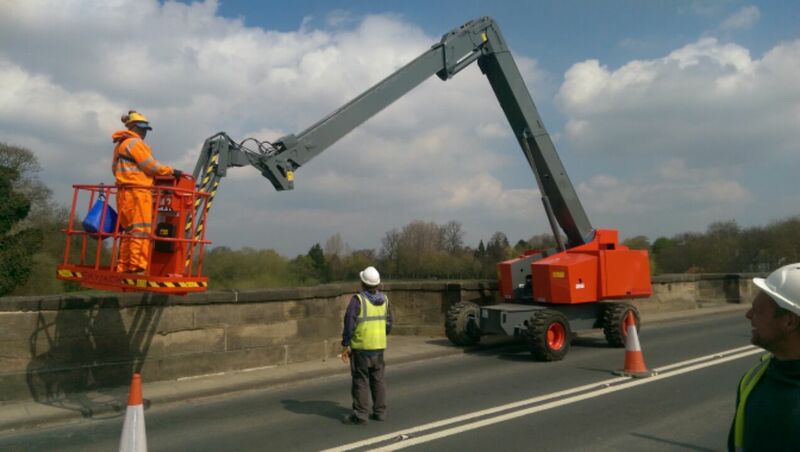 Bespoke machine together with experienced IPAF working Operator supplied directly to site anywhere in the country. All locations and length of contract considered. Machine supplied with LOLER. 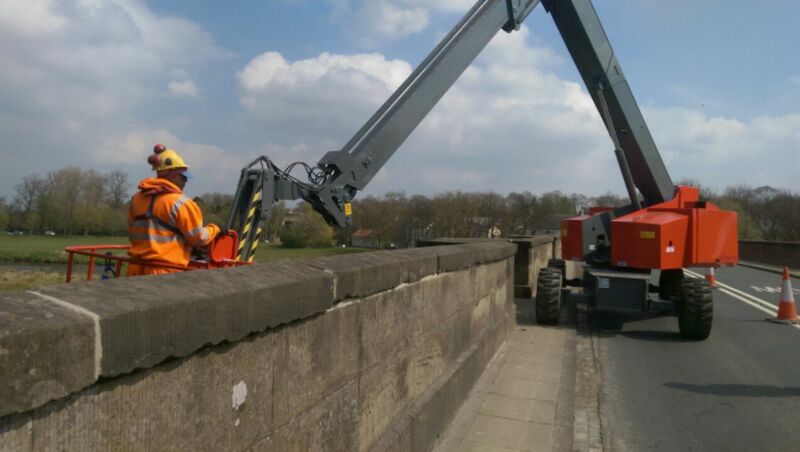 The versatile Skyjack TK 46 is the only articulated telescopic boom that gives access below the machine – with a negative down reach of -6 metres. It is ideally suited for under-bridge inspection and repairs, maintenance of river and sea walls and ship repair work. The Skyjack SJB-46TK has a 15.85m work height above elevation and a negative down reach -6.4m below elevation, a 1.8m hydraulic jib and an 1.83m standard platform with a 272Kg unrestricted capacity. These units are driveable at full height. Hire is in accordance and subject to the CPA (The Construction Plant-Hire Association) 2011 Hire Contract Terms and conditions for Consumers for Plant and Equipment Supplied with and Operator. Hire rate excludes fuel, transport and CDW. See below for Collision Damage Waiver conditions.